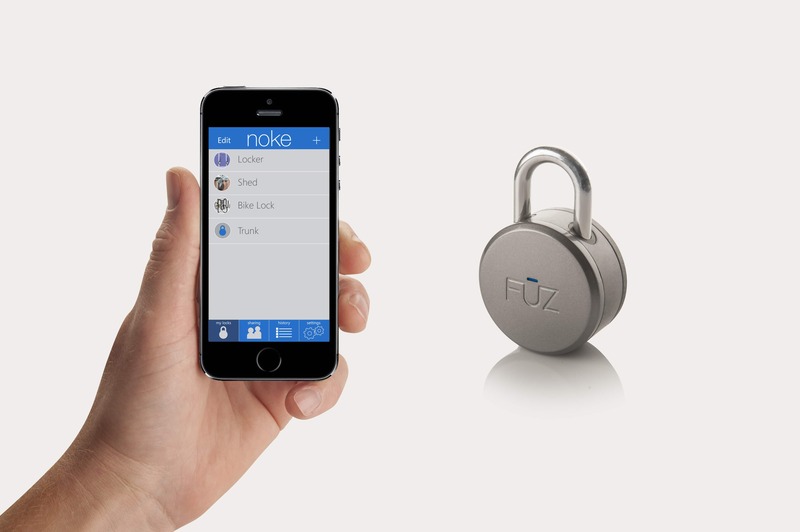 I’ve had my eyes on Bluetooth Padlocks over the last few months and I admit it – I’m in love. 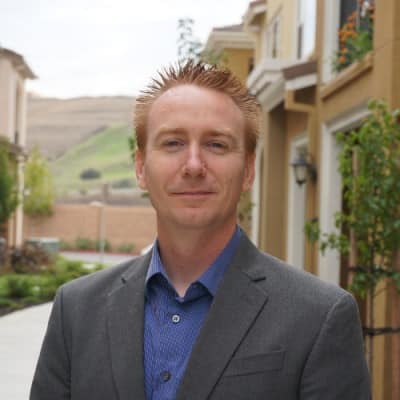 I’ve long been fumbling with padlocks, from my locker days in high school to the many early mornings at the gym in my adult life, “dumb” padlocks can be the worst. I’ve forgotten combinations from time to time, and I’ve even mistaken my locker for another in the gym on too many occasions to count. 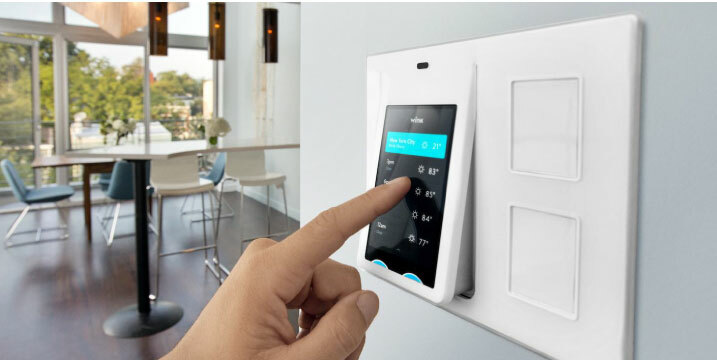 So, with the smart home market expected to be worth 121 Billion USD by 2022, it’s not a surprise that padlocks have quickly been making their way into the innovative realm of smart products. 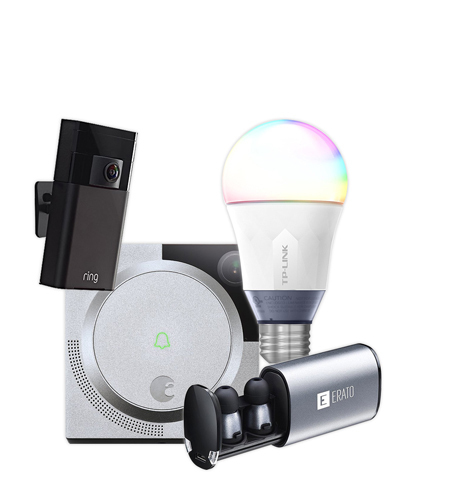 Whether you’re using them at home or outside of your abode, the growth of the smart home and product market is making space for brand new industries and verticals to enter the smart market. And that’s why I’m loving Bluetooth Padlocks. What is a Bluetooth Padlock? 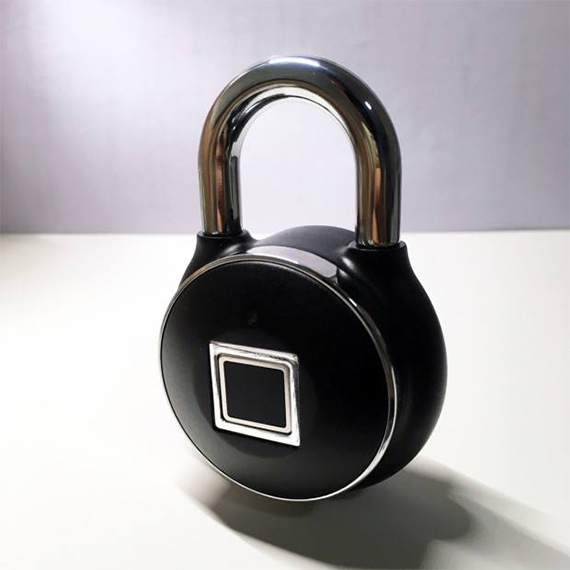 A Bluetooth Padlock is a traditional padlock with a twist; you can unlock the padlock from your smartphone, so you’ll never need to worry about another combination. If you’re like me and you store valuables in your gym lockers or simply don’t want to worry about another combination, Bluetooth Padlocks are for you. Having the ability to unlock a padlock through my phone has changed my life when it comes to lockers; they’re so quick, and they provide me the extra security and safety I need for my belongings. 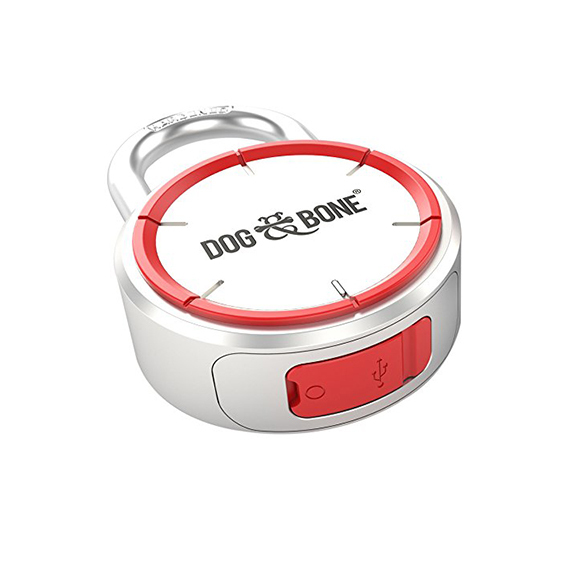 To use a Bluetooth Padlock, all you need to do is connect your smartphone to the product. Easy. Bluetooth Padlocks are relatively new on the market. They range between $50-$120 currently. Based on our research, here are the best bluetooth padlocks for 2019. The TappLock allows you to open the device via fingerprint or smartphone. Picture this. Your son is in Grade 9 and, while he’s a smart kid, he can be forgetful (just like any teenage boy). This means that he’s already called you three times since the school year started, and he’s been late to just as many classes, simply because he’s forgotten his locker combination. Gifting your son the TappLock to avoid tardiness (and those phone calls) is exactly what he needs. The TappLock features a fingerprint sensor and it allows you to share access to friends and family, so you could even unlock the TappLock from the comfort of your home. 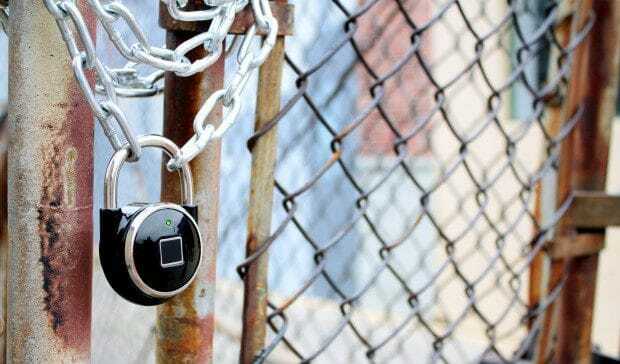 When Engadget renewed the TappLock earlier this year, the reviewer shared that they loved the price point of the product, and were hopeful of the features and benefits that TappLock provided (the product was still in Kickstarter funding). TappLock has just started shipping in September 2016, so we’re looking forward to reading reviews on Amazon. We love the reliability of TappLock, and that’s why it’s on our list. 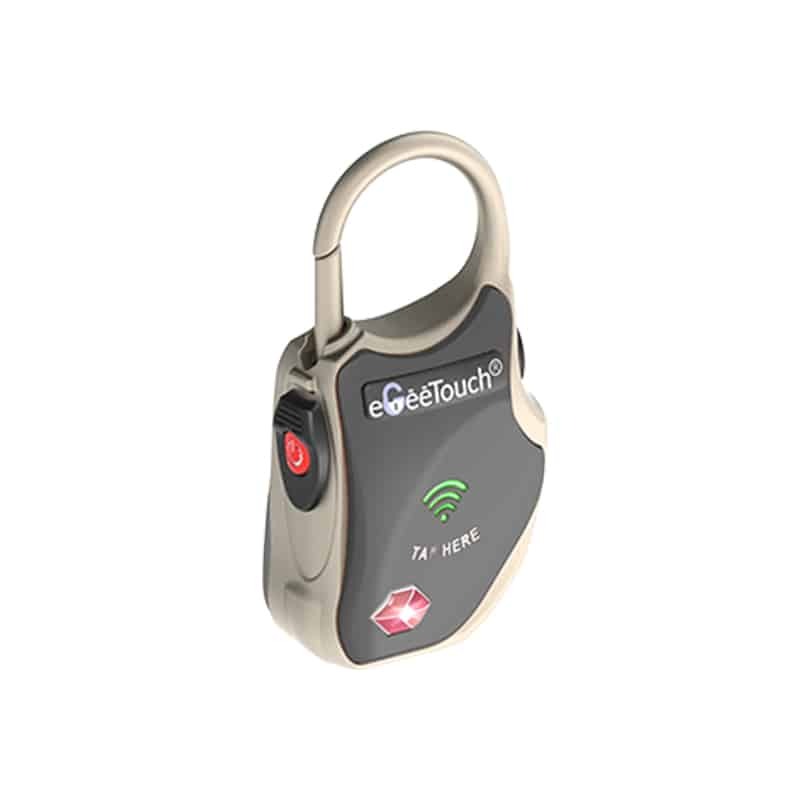 TappLock features a rechargeable battery that can last up to 3 years on one charge. In addition, the fingerprint sensor has the same level of security as the iPhone fingerprint sensor, which means that no one can access what’s in your locker but you. 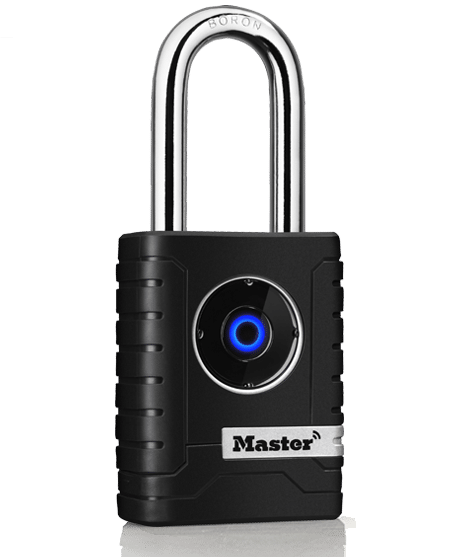 You should get this if you’re looking for a connected padlock that is reliable, and won’t let you down. Decrease the chance of having your padlock broken into with Master Lock. When you’re shopping for a bike lock, it’s important to find one that will deter passer-bys. Some locks can literally break in 20 seconds (like this one), which means that we need to pay more attention to the quality we are purchasing. That’s where Master Lock comes in. 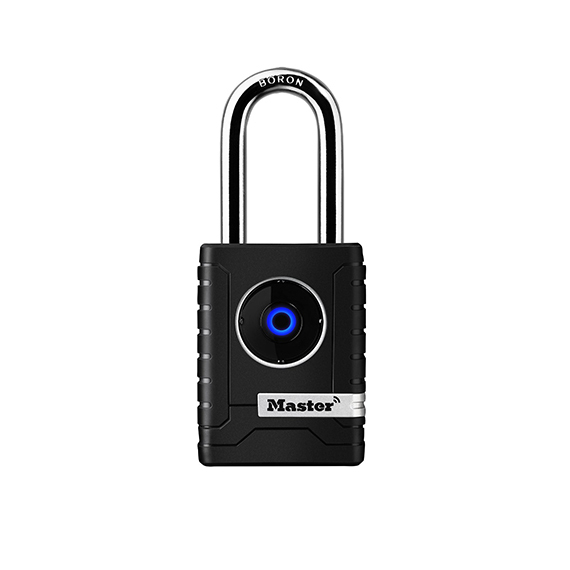 Master Lock has developed a padlock that’s secure, both in encryption and in physical strength. Your smartphone can unlock the product simply, or you can enter a directional code on the lock keypad for back-up entry if you do not have your phone with you. 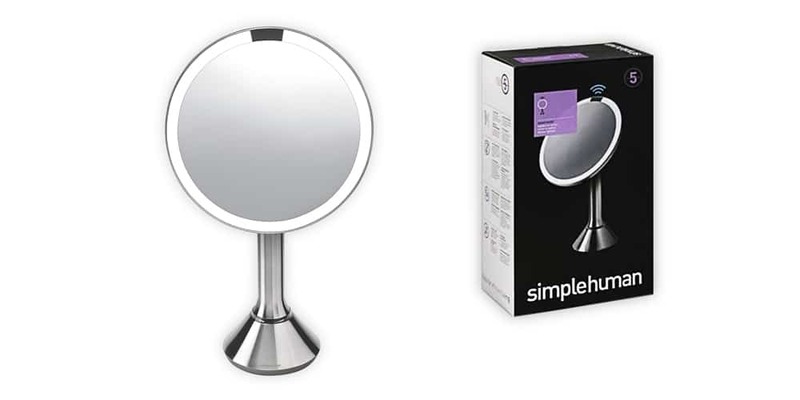 Users on Amazon say that this products works like it should, and at a great price. Negative or neutral feedback on Amazon is almost exclusively around the associated app and the “outdated” interface. This is the smart lock for those who want additional strength and security. The product itself features a high-quality metal body construction with boron carbide shackle and anti-shim locking mechanism for enhanced security. 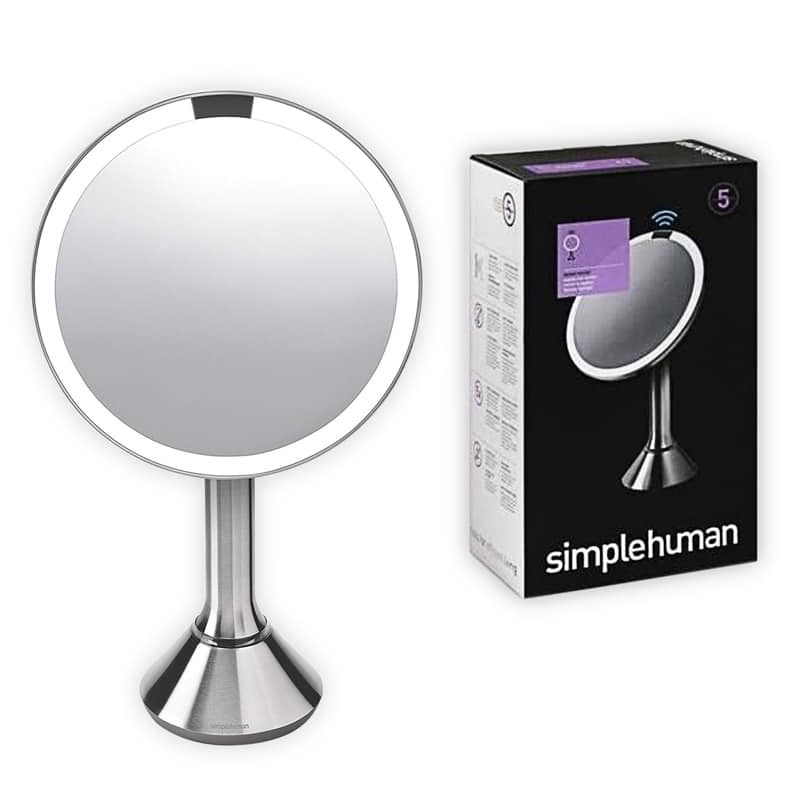 In addition, it has military-grade Bluetooth® authentication and encryption. Traveling with goods or property you would hate to lose? This padlock is for you. When I travel, I generally only bring a carry-on with me – especially if I’m darting through airports in North America or hopping to a quick connector flight. However, if I’m going to Europe or Asia, I know I need a larger suitcase than my trusty carry-on. This is a scary prospect, though, as I would hate to lose some of the clothing or goods I take with me. Who would want to arrive at a far-away destination to discover that their previous make-up case has been stolen? 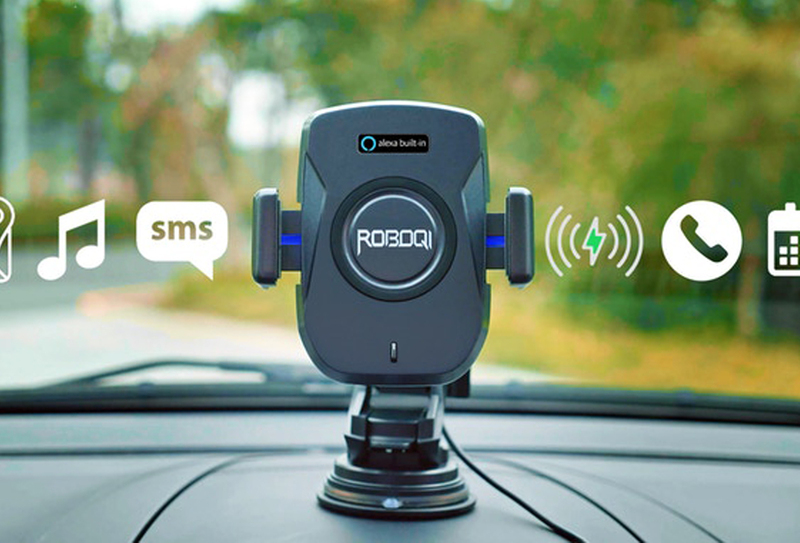 For those of us who love to travel, this product is for you. 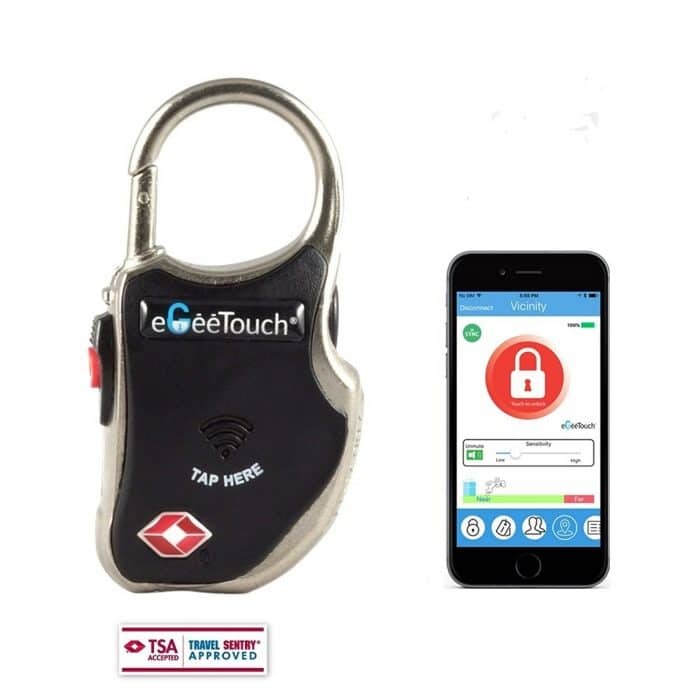 The eGeeTouch Smart TSA Lock offers ultra-high security that is supported by millions of user changeable IDs. Audit trails are also available to trace back who, when and where your lock was touched. How’s that for travel safety? 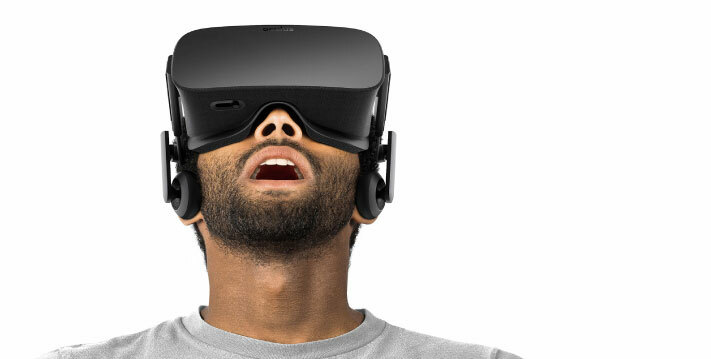 “There’s a new lock in town,” says one Amazon user. This padlock has great reviews for users on Amazon who travel, or who are looking for a great deal of security. You should definitely get this padlock if you travel frequently. It was practically made for you. 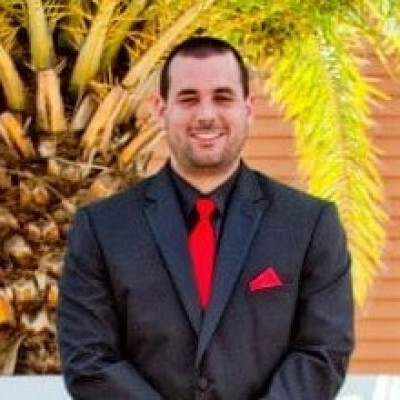 Battery died? Don’t have access to your smartphone? The Noke is for you. And that’s where Noke comes in. Noke is ideal or those who want to “set it and forget” – not “set it and worry that my smartphone will render itself useless”. 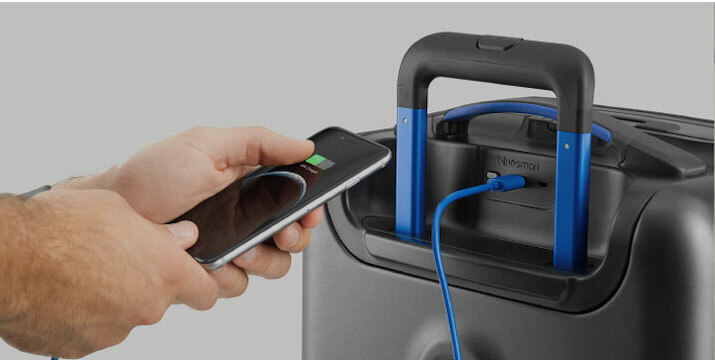 The Noke has a great back-up feature where, in the unlikely event that the battery dies, the product can receive a “jump start” from an external battery, which means that you can receive access from the internal battery or a charge. In addition, you can also purchase an optional Bluetooth key fob to open your Noke the same way that you would with your car doors. Originating on Kickstarter, the Noke has gone through plenty of iterations from conception to product development. 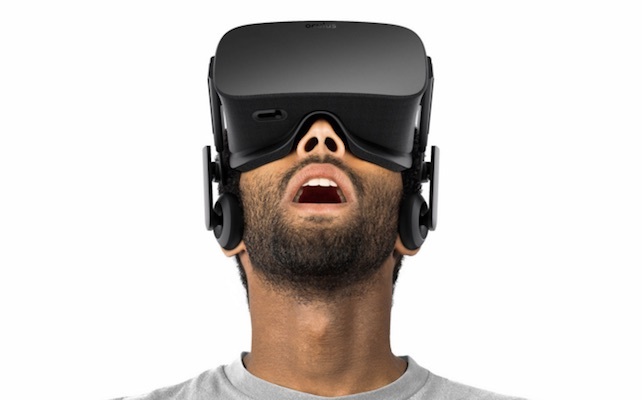 Some users on Amazon say that this device is flawless, whereas others say that there are some bugs to work through. All users agree that the mobile integration is perfect. 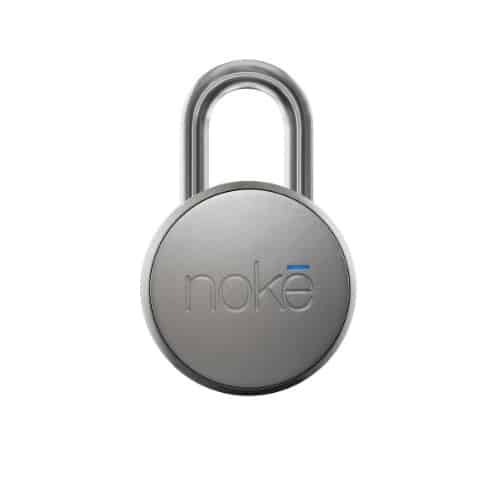 This is the smart lock for users, like myself, who don’t want to worry about a dead smartphone battery, or an external factor impacting the ability to access my lock. Skiing or snowboarding this Winter? You’ll need this. With the Winter months quickly approaching, I’m ready for a snowfall here in the Pacific Northwest. With snowfall comes skiing and snowboarding season, which means that I need to dust off my equipment from the closet. For safety and security of my products in the Winter months, it’s important to have a lock that works. 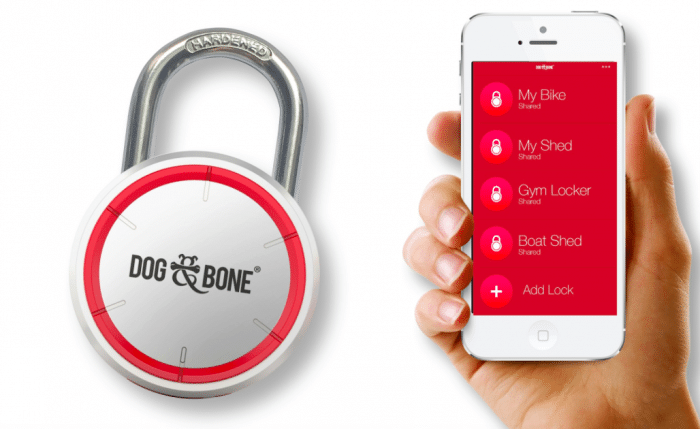 That’s why DogBone’s LockSmart is on this list. It’s ideal for the Winter as it has the ability to be quickly recharged via a micro USB tucked away in a weatherproof seal, and the device can be used in rain, hail, snow, or shine – it can withstand temperatures of -20 to +70 degrees Celsius. “I will be transferring all my key locks to this!” said one user on Amazon. Users are loving the innovation behind this lock, and it’s clear that the durability of the product is also well-received. You should get this product if you’ll using your locks in the Winter months (or even very hot months!) 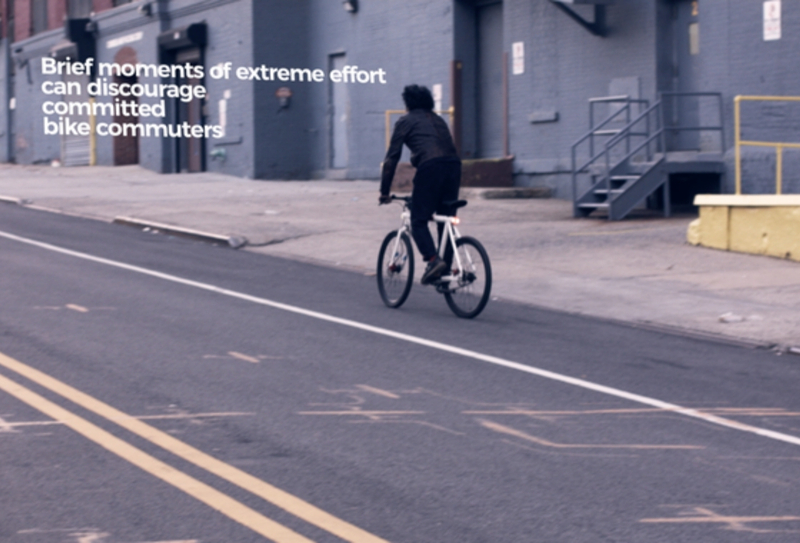 with extreme temperatures. This lock has the durability needed for extreme applications and is dependable lock. Here are the bluetooth lock compared. Smart locks will change how you view security. 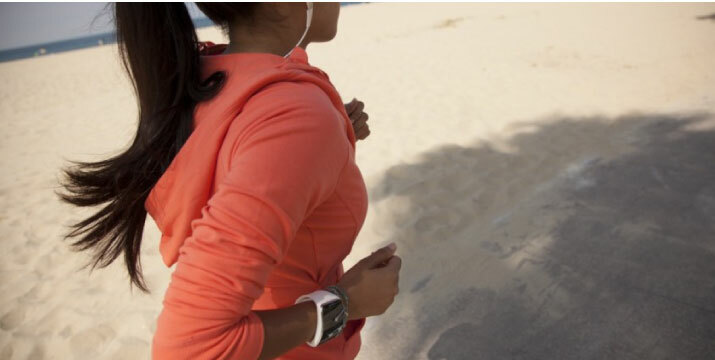 From gyms to shift work (like Doctors, Nurses and others), smart locks will give users the peace of mind needed to ensure their belongings are locked safely and securely. Whether you need your lock to have fantastic mobile integration, or perhaps you need it to withstand the cold Winter months, these are my top picks for Bluetooth smart locks on the market now. Will you use smart locks in your day-to-day life? Share your use cases with us in the comments below.